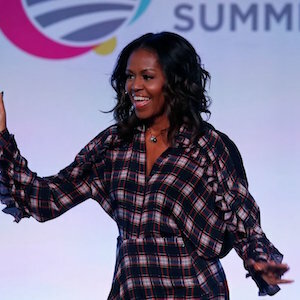 Since Michelle came out with her view on raising children, everyone has been racking their brain trying to understand what the heck she was trying to say. I’ve heard a lot of explanations for her ‘logic’, but none sounded very logical themselves. I thought of another explanation that may sound twisted, but then the statement did come from Michelle. We know she does have two daughters, but no sons. However, she does have a ‘little boy’ in the house. Someone who was raised by atypical parents and grandparents. Someone who was told he was special all of his life and developed with a very liberal ideology. Who sees himself as superior to everyone. Consider that because of her view, she has raised her daughters to be tough like her and that she has little respect for the ‘little boy in the house’. Subconsciously and unintentionally she has shared with the world a little insight into her thinking. Consider the following clip of her discussing the topic of ‘saying what is on your mind’. Maybe she should watch it herself..? !